The project has an army of five marketing agencies - PropNex Realty, ERA Realty, Huttons, OrangeTee & Tie and Savills. CDL said only 25 units were released during the private viewing on Jan 18. "We are very encouraged by the positive response to New Futura. It is a highly anticipated brand-new luxury project with just 124 exclusive units on a site area of 87,000 sq ft," its spokesman said. The units released for sale are in the South Tower, with prices starting from $3.8 million for a two-bedroom unit of 1,098 sq ft; $5.5 million for a three-bedroom unit of 1,830 sq ft; and $6.9 million for a four-bedroom unit of 2,250 sq ft, according to agents. The site was acquired by CDL in 2006 for $287.3 million in a collective sale, which worked out to be $1,179 per sq ft per plot ratio. JPMorgan property analyst Brandon Lee estimated that a pre-tax profit margin of 35 per cent can be chalked up, based on an average selling price of $3,100 psf. Nearby project Gramercy Park was sold recently at $2,800 to $3,000 psf and OUE Twin Peaks, also nearby, at $2,700 to $ 2,800 psf. Mr Lee reckoned that upcoming projects in the vicinity, such as 8 Saint Thomas, Paterson Collection and One Tree Hill, may be launched earlier than their initially targeted dates to capture the positive buying momentum. Most consultants are expecting high-end projects to perform well this year. Mr Lee Nai Jia, who heads research at Edmund Tie & Company, said he expects that the number of foreign purchases will continue to grow. Based on his analysis of caveats lodged, purchases by foreigners (non-Singaporeans and non-permanent residents) formed about 14 per cent of non-landed homes sold in the CCR last year. This is slightly below the proportion in 2016. But in absolute numbers, purchases by foreigners grew from 389 units in 2016 to 567 units in 2017. 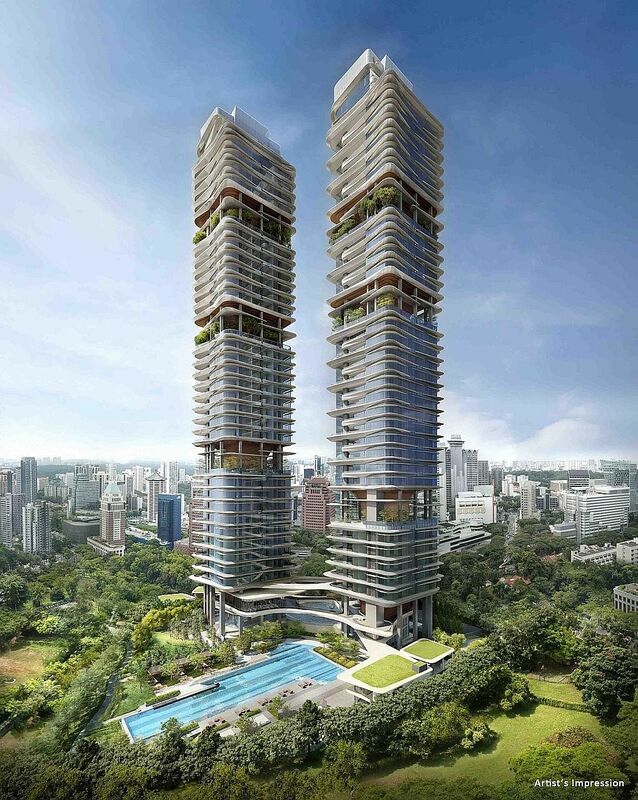 According to List Sotheby's, the number of luxury apartments (above $5 million) bought by foreigners and permanent residents in Singapore's CCR last year more than doubled to 202 units. Mr Leong Boon Hoe, chief operating officer of List Sotheby's International Realty, Singapore, said: "As the Singapore economy recovers and stabilises, we expect the property market to continue to grow at a steady rate, and in particular, for the luxury property sector to lead the market."